AstraZenca, the Anglo-Swedish pharmaceutical company saw it shares spike by 15% Monday after Pfizer the U.S. pharmaceutical giant said it had offered the company close to $100 billion to buy it. Pfizer, which is the maker of the famous blue pill Viagra, said its initial approach was rejected by AstraZeneca in January. The shares and cash deal would represent a premium of 30% on the closing stock price of AstraZeneca on January 3 of 35.26 pounds. AstraZeneca said the proposal had substantially undervalued the company and its future prospects. 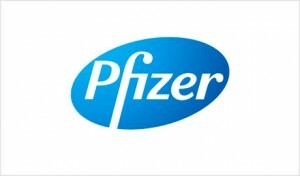 On Monday, shares were at 46.77 pounds after it was revealed that Pfizer had made the approach. On Saturday, another effort was made to revive the takeover talks but Pfizer said that AstraZeneca did not reply. Pfizer is still interested and confident that a solution can be found to acquiring the company. A Pfizer statement underscored the many advantages that could be achieved through a deal. The offer comes at a time when drug makers have taken advantage of the low rates of interest to take part in acquisitions and mergers. Last week, one of those deals included Novartis, the Swiss drug maker, which agreed it would swap its business of vaccines for the cancer drug unit of GlaxoSmithKline and sold to Eli Lilly its veterinary drug segment. Pharmaceutical firms are attempting to increase sales and lower costs as many have experienced flat revenues or even a drop in revenue due to much more competition from the generic drugs and increased expense in the development of any new products. Pfizer’s AstraZeneca bid would mark the largest ever takeover by a foreign entity of a British company. AstraZeneca currently is undergoing a large reorganization of its research and development to offset patent expirations for certain drugs such as Crestor its cholesterol medication. The company has reduced costs and is attempting to make programs for research to be more productive. Pfizer said it would release any new information as soon as it became available.